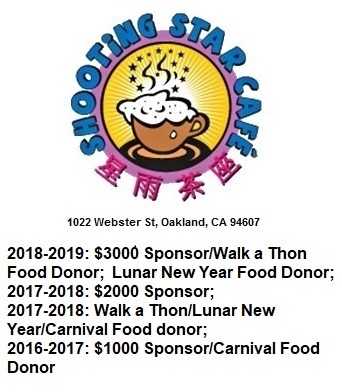 About: Shoo the Flu is a partnership between Oakland Unified School District, Alameda County Public Health Department, California Department of Public Health, UC Berkeley School of Public Health with funding from The Page Family Foundation. Getting flu vaccine helps your child and others stay healthy during flu season. Pediatricians recommend flu vaccines for all kids every year. Research shows that when kids get vaccinated, they miss fewer school days. Plus, when more children and adults are vaccinated against the flu, it helps everyone stay healthier by cutting down the spread of flu in our community. It’s safe, easy, and convenient. Flu vaccine will be given at the school during school hours by health professionals. Most vaccinations will be done by staff from TotalWellness, a company that does flu vaccinations nationwide. The flu vaccine is provided by the Alameda County Public Health Department. It’s the same vaccine your child would get from your usual doctor or clinic. Most kids can get a nasal spray flu vaccine instead of a flu shot. To inform our health professionals which type of vaccine is best for your child, complete the medical information on the consent form that will be sent home with your child in the fall. There is no charge — it’s free. You will not have to pay for this flu vaccine. If you have insurance, it will not be billed. Consent forms with additional information will be sent home with students next fall.Look out for the bright colored Shoo the Flu folders in Septemeber or October! You will also be able to print the consent form in 6 different languages from ShooTheFlu.org. If you have any questions, please contact Hannah Warren, OUSD Vaccine Clinic Liaison, at hannah.warren@ousd.k12.ca.us or 510-273-1589. You can also contact Alameda County Public Health Department Immunization Program at 510-267-3230. To learn more, visit ShooTheFlu.org. Congratulations to OUSD Bay Area Flu Study Schools! Shoo the Flu has partnered with the University of California, Berkley School of Public health to measure the health impact of the Shoo the Flu in-school vaccination program. This evaluation is called the Bay Area Flu Study and it will help us learn how well Shoo the Flu prevented flu-like illness in Oakland students and their families.